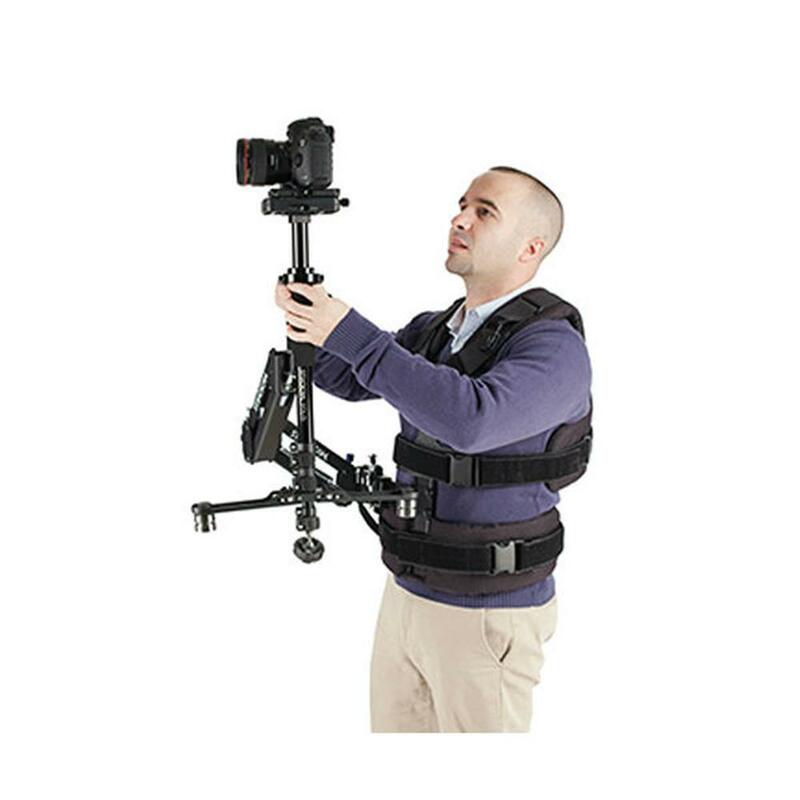 The SOLO Arm and Vest makes extended shooting nearly effortless, providing complete comfort and functionality for extended productions and long continuous shots. The SOLO can now fly for hours - shooting entire weddings, sporting events, or theatrical performances - without undue fatigue. The arm is ultra-light, but extremely capable. It's a 7/8 scale version of its big brothers, the G-50x and G-70x arms, and provides the same legendary performance and flexibility. The vest is the lightest and thinnest ever made - it can even be worn under a tuxedo jacket - and it's designed to fit the entire gamut of body styles and shapes. Size Range: from 23 lbs. to 250 lbs.